In ancient Pompeii, just before the fateful eruption of Vesuvius, a proud Roman tribune, Ombricius, is attending a friend's wedding celebration. No sooner does he finish telling another wedding guest about his doubt that he will ever find a woman who will stir his soul, than a patrician woman, Hedonia Metella, passes by and drops a flower at his feet engaging him with a provocative look. 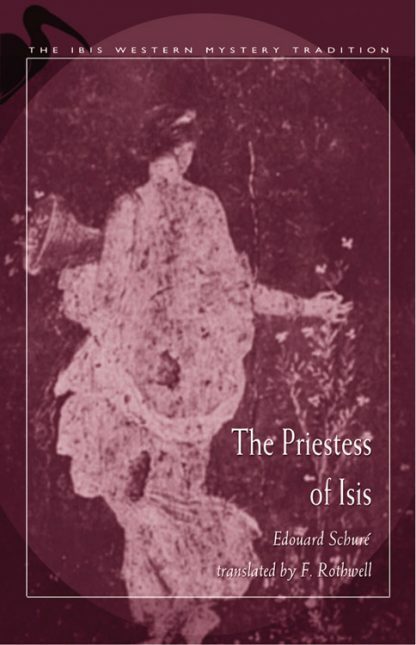 He is intrigued, but soon afterward he sees Alcyone, the Priestess of Isis, who is there to bless the bride and groom, and he is transported by her spiritual light. Seeking her out, he encounters Alcyone's mentor and adoptive father, who requires Ombricius to be initiated into the religion of Isis--forbidden by Rome--before he may marry Alcyone. After he has agreed to enter upon the initiate's path, he becomes acquainted with Hedonia Metella, who worships Hecate, and tries to tempt Ombricius from his path. Told in intricate detail, it is a story of the struggle between light and dark over a man's soul. Schure, the author of several books on esotericism and metaphysics, has blended his knowledge of Ancient Egyptian and Greek religion and history to bring this drama to life.